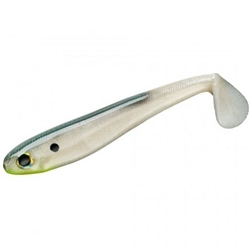 The Yum Money Minnow features an ultra-realistic profile, natural swimming action and a super-soft body. The unique hook slot in it's belly allows for very efficient hooksets and also facilitates straight rigging and true running performance. This swimbait has proven itself irresistable to bass and even swims sweetly when reeled at a very slow speed!